The surprising differences between Baking Soda vs. Baking Powder and how they work and affect your baking. Be a better baker by learning these fundamentals! A question I get asked a lot about and something that I think confuses a lot of people is the subject of chemical leaveners and what the differences are between baking soda and baking powder. Even experienced home bakers can benefit from knowing how they work on a deeper level! If you’d like to improve your baking and your understanding of how your favorite treats work then keep reading and watch the video below. 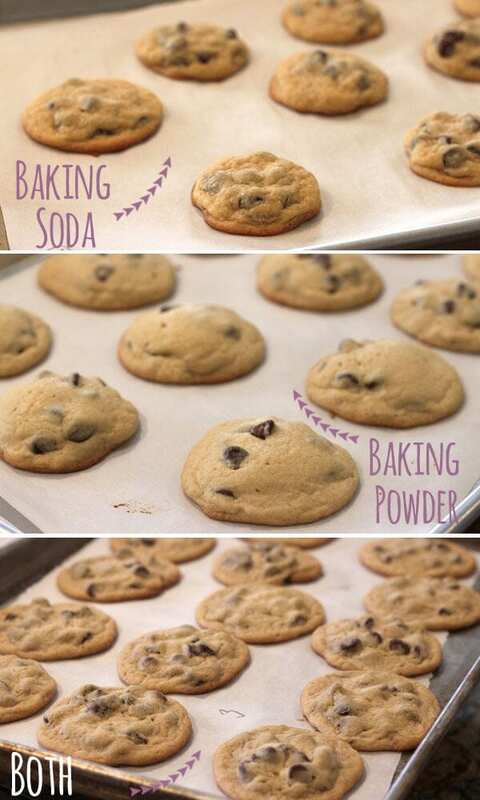 The first time I really demonstrated the differences between baking soda and baking powder was in my Ultimate Guide to Chocolate Chip Cookie post. I showed you how cookies turn out when they’re made with just baking soda, just baking powder, or made with both. The results were fascinating and produced so many comments and baking revelations from you guys! So now that you’ve seen a quick peek at what the differences look like when it’s all said and done, let’s dive deeper into the science, the WHY behind those photos! Baking powder and baking soda are both chemical leaveners that work to create light textures in baked goods – but only when they’re fresh and accurately measured. Although baking powder actually contains baking soda, the two leaveners are very different. So, this post will clear any confusion. The most important note to remember? Baking powder and baking soda are NOT interchangeable because they require different conditions to function. Baking soda is a natural alkaline ingredient activated by liquid and acid. There must be some acidic ingredient in the recipe for baking soda to function. Baking soda begins to leaven as soon as it touches liquid so if you wait too long before baking you may notice a decrease in leavening effect. If you use too much baking soda, you may taste an unpleasant metallic flavor in your food. Baking soda also helps add a beautiful browned color to baked goods by elevating pH levels. Since baking soda must be fresh to work properly, it’s important to switch out your container before the expiration date. However, baking soda can lose its effectiveness even before that date. Placing a 1/4 teaspoon baking soda in a bowl and pour 1 teaspoon of distilled vinegar on top. If the baking soda immediately bubbles violently, it is fresh. If nothing happens, throw away the baking soda and buy a new package. Baking powder is a combination of baking soda, acid, and cornstarch. 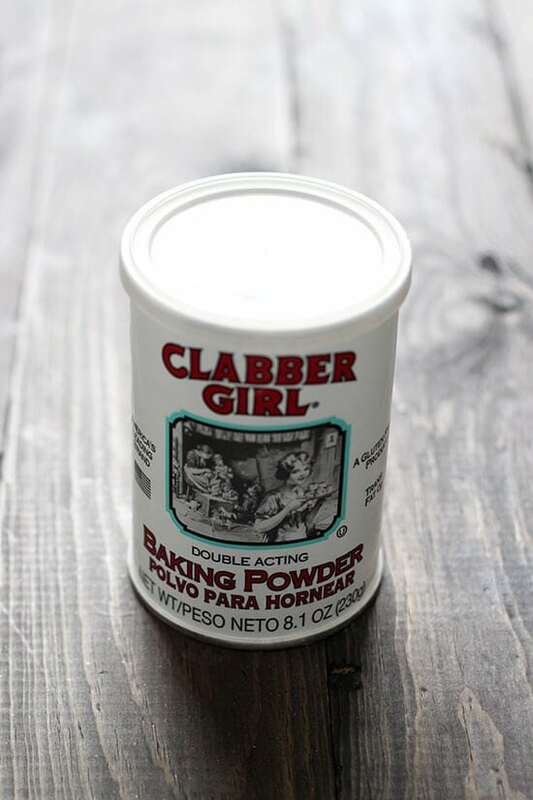 Most baking powder available in the U.S. today is double acting, meaning its first reaction occurs when combined with liquid to help aerate the batter or dough and a second more slow-acting reaction occurs when heated in the oven. Unlike baking soda, baking powder doesn’t require an acid to activate, only moisture, and baking powder batters can be made ahead of time due to that double acting property. Place 1 teaspoon of baking powder in a bowl with 1 cup of hot water from the tap. If it bubbles up, the baking powder is fresh. If nothing happens, throw the baking powder away and buy a new container. It’s important to understand that baking soda is four times stronger than baking powder. This means 1 teaspoon of baking powder will raise a cup of flour, whereas only a 1/4 teaspoon of baking soda can produce the same effect. 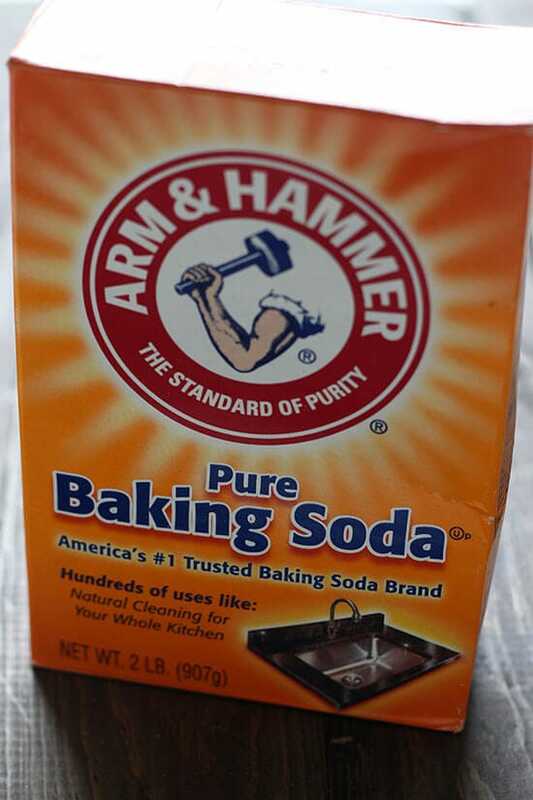 Knowing what each leavener requires to function and the strength of each does make it technically possible to substitute baking soda for baking powder, however the reverse is not true. Either way, I do not recommend attempting any substitutions because it is complicated and may ruin your baking project. Plus, both ingredients are so cheap and readily available! Some recipes call for both baking soda and baking powder in order to have the highest effect of acid neutralizing and leavening powers (this can be seen in the above cookie comparison photo). This works especially well for acidic dough that needs to be stored overnight, such as my favorite Ultimate Chocolate Chip Cookie recipe. I hope you found this interesting! If you’d like me to cover any more baking topics like this, just let me know in the comments below! Happy baking! We never learned that in home ec- great article! Thank you! Wonderful video, great info for all bakers! I have always wondered about the two . I’m going to have to make those cookies! Tessa, you are my hero! I never feel confident developing baking recipes, but I’m learning so much from you. So, correct me if I’m wrong: in the recipe down here it should be better to have baking soda instead of baking powder, or a mixture of the two agents, right? What would you recommend? Great explanation and video! Very helpful! Thanks for the clarification! Love your iG and recipes. This is great, I’m learning lots from you! If you ever need content, I always like to hear good prep tips and why they are needed (temp of ingredients, specific type of cookie sheet etc) and storage tips (like a piece of bread in with the cookie container to keep moist, how to freeze). Sometimes those tips save a whole batch! Great stuff on here, thanks! very helpful information, but was wondering why the pic of the cookies with both baking power and soda are incredibly flat cookies compared to the slightly fluffier ones above. Thank you for explaining it so well! This is the first video I’ve come upon that really explains baking soda and baking powder differences so clearly! I’m always working on creating and formulating recipes, so this was SUPER helpful! Thanks for making this video! What temp attire does baking soda and baking powder cook at? This is great information. Thank you. When did you finish and post your website? 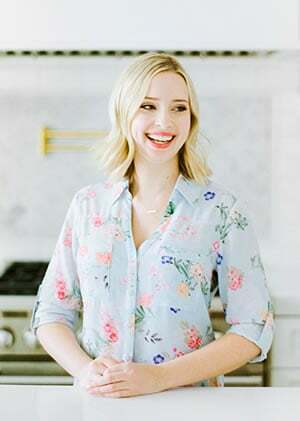 Hi Tessa, it’s really interesting your explanation, I’m italian since I’ve been leaving in America I’m not able to bake my usually cake because I’m not able to use and balance baking powder and baking soda. Is there any role I can refere to? Hi, I tried to print the info regarding the difference between baking soda vs baking powder. But it won’t print any ideas what I should do? Thanks. Oh hm, well the print function is meant for recipes and since there’s not a recipe here, it doesn’t exactly work 🙁 If you highlight the text you’d like printed, right click, and hit print, you should be able to get it done that way! Hope that helps. Thanks Tessa for the valuable info!! If you want the recipe I will give to you. Excellent information!!!!!!! Thank you so much. Hi! Thanks for the sharing. Maybe you could enlighten me on this? Thank you very much for the information.recently I did not known any different between soda and baking power but now i know.it is possible to use soda power in meat pie? thank you and may God bless you. Thank you, Tessa. I substituted baking soda for baking powder easily without even thinking before I read your article. Now I will follow the recipes’ instructions strictly. I see the difference now. I used to wonder why the final bakery had such a clumsy look. Thank you Tessa for the information. I have learnt a lot. Thank you Tessa.. Your video was greatly helpful. Your video did a great job in explaining the difference. Keep up the good work. Very well explained! Thank you! Knew most of this, but after sixty some years of baking still didn’t know there was a way to test baking powder for freshness. Bet some of my friends don’t either from listening to comments about guessing” they needed to get new. I do not use self rising flour so my powder doesn’t get a chance to get old. Thank you for the “new” information. This is really useful info. Once I was out of baking soda so substituted baking powder in a favorite chocolate cake recipe and the flavour and texture were different. This explained why. If a cookie recipe calls for 1 tsp baking soda and I wanted to use baking powder instead, how much baking powder would I use? Thank you so much for this, always wondered the difference as I made a gorgeous chocolate cake and got the measurements the wrong way round and yes, I had to throw it out, it tasted awful! So now lesson learned and make sure I never ever confuse the two! I’m having a lot of problem with all purposes flours to make cake some time the Birthday cake is very dense or pound cake like , I have to used cake flour,even if the recipe call for all purposes flours. I was eating an Ultimate Chocolate Chip cookie while watching this…. New lesson/insights for me. I never pay attention to all these! Now that I begin to venture into baking, your tips/tricks/traits are really helpful and make our baking more interesting & more fulfilling. Thank You. I’ not sure what your point was about the cookie pics. Are you saying that the anemic looking cookies with both powder and soda are the preferred ones? Maybe the picture doesn’t give a good representation. My main question is concerning the baking powder with no aluminum in it. Does it proof the same way. I have some that is a year away from its expiration date, but it did nothing when the water was added. Actually, the powder rose up and floated, but no bubbling. Any thoughts on this? Thanks so much for that information! I will not substitute those two ingredients again because thanks to you I have a better understanding how and why they work!! Thanks for the very informative video in South Africa we get bicarbonate of soda which I think is the same as baking soda & baking powder and the weight equivalent of a stick of butter as we do not get sticks of butter. What a wonderful vlog on these two leaveners. You’re the first to explain in an understandable manner. I love the science of baking. Thanks for a great article clarifying the two baking ingredients. I have a question though. Someone told me baking powder and baking soda will keep fresh indefinitely if you store them in the freezer. Since I use Bob’s Red Mill baking powder and baking soda, they come packaged and I don’t have to worry about metal cans or boxes. However, I trust your judgement impeccably. 🙂 Could you please respond on your thoughts about this? Thanks, greatly appreciated! Thanks for the short and informative video! Do you lose much of the leavening effect of baking powder or baking soda when you refrigerate cookie dough? You lose more from baking soda. Most baking powder on the market is “double acting” so it’s activated when mixed with liquid, then again when exposed to heat! Which kind of cookie sheet do you find is best to produce a thicker cookie that is soft and chewy? Thank you for easily explaining the difference between the two.